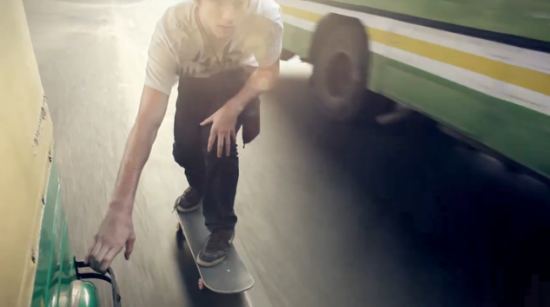 This article is an analysis of the prospects of skateboarding games in India. X Games which are rarely celebrated, skateboarding being one of them, should be promoted more in India as a sport as it is in the west. Skateboarding and other X games are popular and quite extensively played way out in the west. In India, however, we still have to introduce X sports in India in the wider level like cricket, tennis, and badminton, etc. In the past few years, we have not seen many attempts to introduce such events, but then again, who would have thought that Sania Mirza, Saina Newhal, Narain Karthikeyan would emerge as recognized sportsmen of their respective fields – Tennis, Badminton, and Formula One. Even Vishwanath Anand has outshone the world in Chess. Maybe in the near future we will see prodigies in X games rising to compete in world events and championships. Skateboarding is quite an expensive sport, thus anyone trying to opt for a skateboarding career in India, will be requiring well-built arenas for practice as well as stadia for holding proper competitions and world class skateboards and gears for the sportspersons, but considering the amount of money going into cricket, thus it should not be much of a hazard sponsoring this sport by the different renowned companies which should be properly encouraged. Skateboarding requires a lot of talent in acrobatics, which I believe we Indians should possess, considering the range of classical dances and gymnastics that are being taught in India. The X-Games are hosted by ESPN USA, the first of which were held at Rhode Island in 1995; it was a commercial event focusing on action sports, one of which is skateboarding, the others being Rally Car Racing, Moto X, Cycling Freestyles and in winter, Snowboarding, etc. Organising skateboarding tournaments in India is still a long way away economically, mostly due to corrupted politics, but it should not post a problem to organize Skateboarding as a sport. Interest in these sports can easily be generated by hype over these sports and through sponsorships, achieve a professional field in these events. Pro skaters like Bucky Lasek, Ryan Sheckler, Shaun White, etc. would become heroes of Indian youth alongside the classic Sachin Tendulkar, Ricky Ponting, Lionel Messi, etc. There are a lot of prospects of achieving a widespread interest in skateboarding in India, through cinema and documentary. Parks containing skateboard stadiums are a start, as well as sale of affordable skateboards and gear. The only other problem which bars the advent of success in skateboarding is the attitude of old fashioned parents who think sports are a waste of time. The only consolation is in the hope that the more modern generation of parents doesn't share similar views; else all the dreams of promoting skateboarding and hopes of seeing an X-Games Gold medalist from India, will end up at the bottom of the pool. With all the competition in academics, we find more and more youths attempting to succeed in out-of-the-ordinary fields, and I am positive that by generating interest in skateboarding, we will definitely see youths involved in the sport. India should sponsor training academies, and build stadiums for holding national / state level sporting events in skateboarding. Dedication to the sport and glory of this country is evident if such events are made possible. Skateboarding is an art in itself, one to be appreciated, by all societies both aristocratic and otherwise, and lastly, is a break from all sorts of monotony that we have achieved in our lives so far. It will be an experience much more thrilling than being a couch potato and gorging on meaningless television reality shows.